Disney California Adventure’s Food & Wine Festival. Epcot isn’t the only Disney property that loves its food and booze, as Disney California Adventure’s Food & Wine Festival returns March 1 and runs through April 23. Disneyland guests of all ages will be able to celebrate the bounty of California through cuisine, beverages and entertainment at the culinary festival. Daily events will feature live music and special activities. The Disney California Adventure Food & Wine Festivalwill boast unique food and beverage offerings at 14 different Festival Marketplaces, with each location’s menu inspired by fresh, California-grown ingredients. 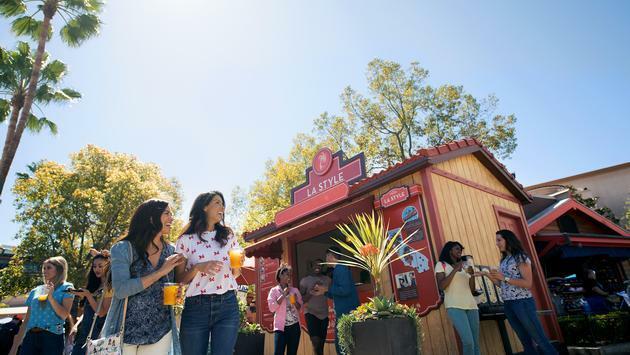 Visitors to the Backlot Stage in Hollywood Land will discover culinary demonstrations by some of the most celebrated chefs in the industry on Fridays, Saturdays and Sundays. There will also be family-friendly seminars. Other events at the Disney California Adventure’s Food & Wine Festival include Dinner with Disney Chefs, Winemaker Receptions at Carthay Circle Restaurant, Sweet Sundays and more. Many of the events at the festival are included with admission to Disney California Adventure park, but signature events, demonstrations and seminars will require a separate fee. To celebrate the annual event, Disneyland is offering limited-time ticket and hotel packages.